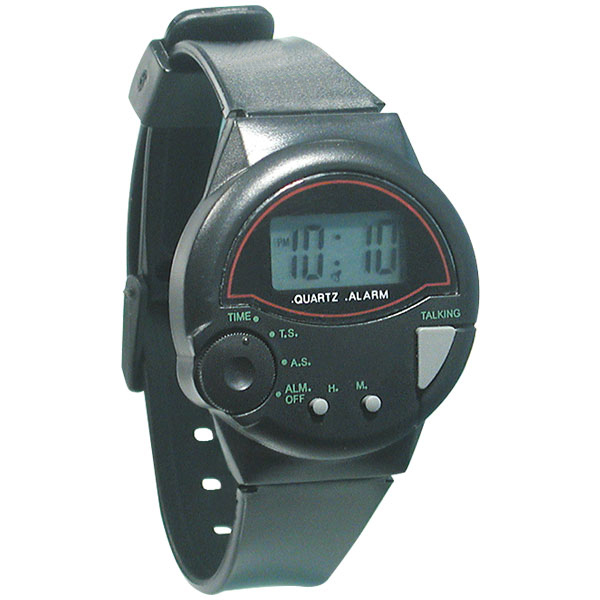 Talking black watch with plastic adjustable band, female voice, 1/4" black numbers on LCD display. Large LCD display makes telling time easy. Easy to set clock time & alarm. Time announced at touch of button. Great for men or ladies.